This program is Black Cat Approved. 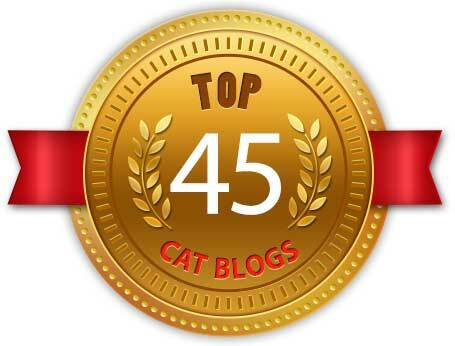 Now that I’ve been there and back, I’m pleased to report that I’ve won two Muse Medallions in the 2013 Cat Writers’ Association Communications Contest, and I am also honored to have won a huge special award. You can read a bit about my visit to the conference on Friday in Zeki and a Few Cat Writers. The biggest winner of all is my series of illustrations entitled “Cats After van Gogh”, the oil pastel sketches inspired by my April 2012 visit to the “Van Gogh Up Close” exhibit. These won the CWA President’s Award, a total surprise for me! For this annual contest we enter our work for all regular categories for which winners are given Certificates of Excellence, and special awards, which are judged by sponsoring organizations. From the Certificates of Excellence a judging panel chooses the best of the best for CWA Muse Medallions. But the President of CWA personally chooses the winner of the President’s Award from among all the Muse Medallions, and the award is sponsored by the Cat Fancier’s Association. I had sent the garden flag in this design as my entry in this category. It’s particularly gratifying for this art to win this award, not only for its honor but for the meaning of the art in my career as an artist. I had decided to draw my daily sketches as a daily exercise for me, so that I’d have the chance to do a little artwork at least once each day. As a challenge to myself to actually follow through and be honest about where I am as an artist, I decided to post them as I did them—no editing, no waiting, no excuses, just do the sketch and share it, otherwise it would be too easy to just put it off and not do the sketches or post them. And the end goal of this is not just to do a little art each day, but to learn and grow a little each day as well, and I did, quickly growing too comfortable with pencil and moving to colored pencils and ink and watercolor pencils and even a few oil pastels. But it was when I went to see the exhibit and came home with my eyes full of colors and textures and shapes from all the paintings I’d seen and looked at Giuseppe and Mr. Sunshine sitting there on the floor and immediately turned them into a new style in a sketch using what I’d learned, and I’ve since created others in the same style. That’s what it’s all about. Muse Medallions for The Creative Cat. And there’s one more Muse Medallion, one that really makes me proud. 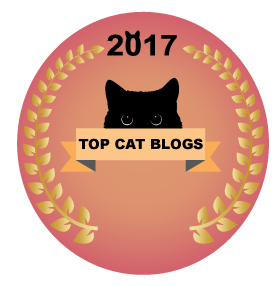 The Creative Cat, this very blog, the platform that enables me to further my career as a writer and artist, won a Muse Medallion in the category of “Blog: Entertainment”—the second Muse for this site because I also won it in 2011. The judges’ comment was, “An enjoyable entry. Very clever headlines.” Ha ha! I’ll bet you didn’t know I spent 15 years designing “junk mail” and a clever headline was key to its success, so I can thank all those clever ads I designed that were successful for our customers. 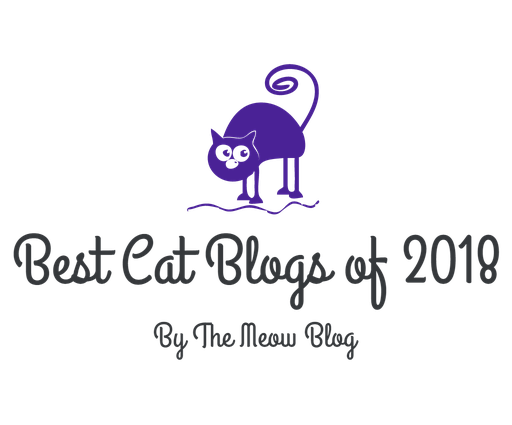 Thanks to all of you for reading, commenting and sharing I’ve made this site step by step into what it is, and that’s why it wins awards. You may have noticed the cover of the program under Mr. Sunshine’s paw at the top, and the colorful art and the sweet black kitty. Debbie Glovatsky of Glogirly designed the new logo and we know she loves pink! But did she also know that Giuseppe’s eyes are a very specific yellow green? Giuseppe wants to know just what this is about. Well, I do have a distinct fondness for little black cats. These awards are self-nominated so I chose what to enter. They are judged by a jury of my peers, other members of the Cat Writers’ Association; I am also a judge in this contest for materials in categories I don’t submit. Nominating one’s self for awards in various professional contests is not necessarily an act for the ego; it’s one of those professional activities in which you participate especially when you’re self-employed, but even if not. Participating in contests and receiving awards distributes your work to a further audience and also puts it before other professionals in your field for assessment, a completely different set of judges from those who enjoy or use your work. This raises the value of what you do and helps to give you more opportunities to do even more work. And especially when you work for yourself it’s, in part, a benchmark for how you’re doing, and a pat on the back. About that “humility” thing…when I talk to other developing professional artists and writers who hesitate to nominate themselves for awards I tell them that we always need to have a good dose of humility about everything we do, but the time for that is while we are producing the work, not after it’s been published or presented. When I first began showing and selling my art, a completely frightening thing to do, I would immediately undercut myself whenever someone complimented a painting, pointing out all of what I felt were its flaws, until I realized what that said about how I felt about my own work. Why would anyone even want to look at it let alone purchase it if I thought it was so flawed? Why had I even shown it? It is a matter of honesty to point out your own flaws, but especially with my commissioned portraits, which I’d created for someone, it made no sense at all to make a practice of it. At one point when I was deeply complimented by someone I simply said, “Thank you.” Describing this to a friend she said, “Congratulations, you’re all grown up now.” I got the lesson. Only after I jumped that hurdle with my artwork did I even dare to start sharing my writing. Those of you who read and comment and purchase here on The Creative Cat are the first line of peers to judge my work. You are the audience to whom I write, and your feedback in good part determines what I present here, and also what I entered into the contest. I was actually surprised at the response to a few things by both my readers and the judges, and though the piece was decidedly heartfelt and I did like it I would not have considered, for instance, “What’s the Matter?” to be a winner except by that response. The award letter reads that “the standards for winning a Certificate of Excellence are very high and this award is a recognition of your outstanding work.” Also, winners of the coveted CWA Muse™ Medallion are chosen from among the Certificate of Excellence winners, all of which will be announced at the annual conference in November. Thanks go to my family of cats, yesterday’s, today’s and tomorrow’s. You can see this list and awards I’ve won in previous years on my Cat Writers’ Association page. Read more about the Cat Writers’ Association and their annual Communications Contest which includes work published in all media, from books to television to newspapers and magazines—these are the people who write and broadcast about feline health and welfare, reviewing foods and books and products, cartoonists, illustrators and authors of all sorts. 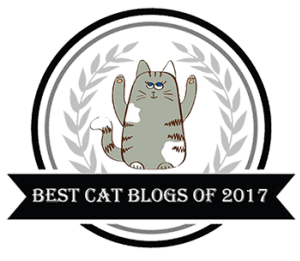 If you are a writer, illustrator, videographer, artist or in any way create public communications about cats, please read up on the organization and consider becoming a member! Thanks so much, Carolyn, and thanks for following me! I’m so glad you got the medallion. Thanks, Maru, and thanks for reading each day! Thanks, Rachel–and I hope to see you at a conference again! 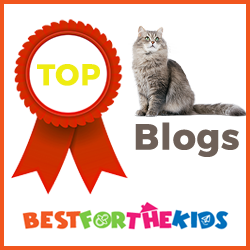 Thanks, Tabbies, thanks for reading and encouraging me! Congratulations. The awards were well deserved. Liana, thank you so much, thanks for taking the time to comment. Congratulations, Bernadette! I love those flags also! Thanks for reading and visiting, Sued! That design was the inspiration for those flags, and a lot of other things. Enjoyed reading about your awards. Way to go!! 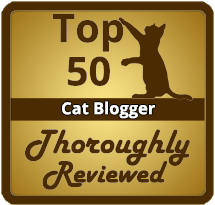 Thanks, Debbie, and thanks for participating in all the ways we help cats! Wow! Congratulations on these awards. Even more, congratulations on your insight about entering these contests and swallowing your humility. I’ve faced the same self-effacing, self-deprecating thoughts about my writing. But I continue to enter anyway. I’m certainly glad you do too. Andrea, we don’t grow if we don’t believe in ourselves, and I’m glad you believe in yourself. I also hope to meet you some day! Huge and heartfelt congratulations on the President’s award. I absolutely LOVE the flags!!! And I so very much LOVED sending time with you ion Friday!!!! Lisa, you have no idea how happy I was to see you getting on that airport shuttle! Thanks for the congratulations! Congratulations! So nice to see your work receive the recognition! Thanks to you too, Anita, you’re one of my long-time readers! Wonderful! I am thrilled for you and have admired your talent from the moment I happened upon your blog a couple of years ago. I am grateful I got to see you for a few brief moments on Saturday at the conference and am so happy for your well deserved recognition. Deb, congratulations to you as well–I think you won more than Writer of the Year–and I hope one of these conferences we have the time to actually sit down and talk for a while! Very well-deserved – congratulations, b! Thanks so much, Leslie, and thanks for generously helping cats in need!